UPDATE: This post was originally published on April 19. It lies next to you in bed. You feel naked without it. You can’t leave it home alone. 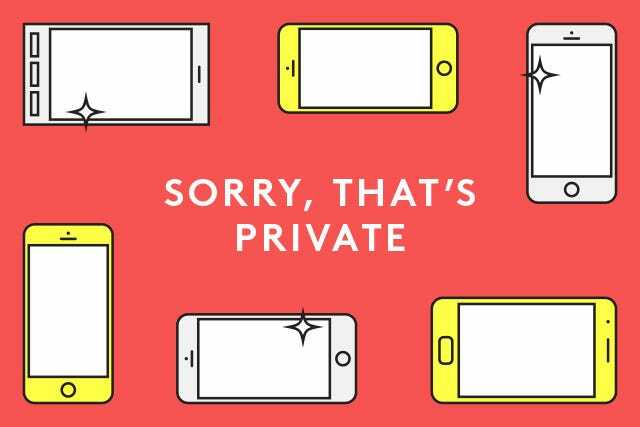 Of course, we’re talking about your cell phone. For most modern ladies, a cell phone means a lot more than just chatting with your mom. 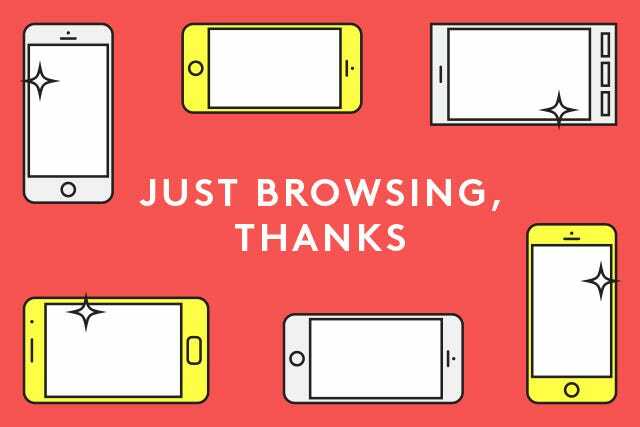 And, if your phone is lagging, so is a lot of your life. 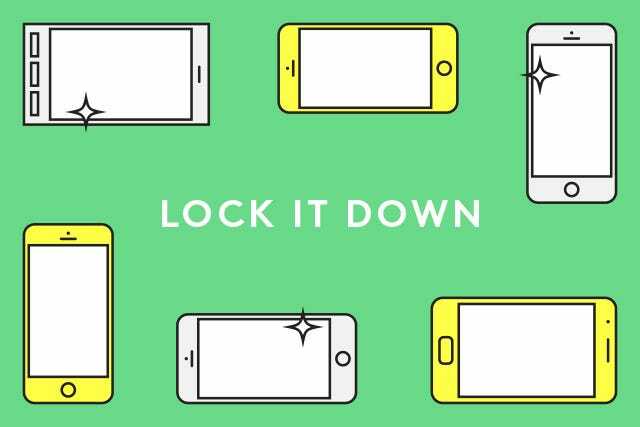 So, how can you get the most out of your beloved device? Here are a few tips to keep it on the go, almost as much as you are. Admit it: Your phone is a little sluggish. It’s okay, it happens to the best of us. How about a little pick-me-up to get it humming just as fast as when you first got it? You probably have a lot of stuff saved on there between thousands of pictures, texts, and apps you rarely use. You can see what exactly is taking up so much space on your iPhone by going to Settings > General > Usage on an iPhone. On Android, it’s a bit more complicated, so you may want to check out this blog post. But, what’s cool is that Androids can actually restrict how much space any given app is allowed to take up on your phone. Note that on Android, widgets are always running so you may want to consider deleting those for your device’s overall well-being. There are also a few apps that can help you figure out just what the problem is. For iPhone, you have the Phonedoctor+, which gives you a visual representation of what’s taking up the most space. It also assesses each of your phone’s physical functions (headphone jack, vibrate, mic, etc.) so you know exactly where the problem lies. For Android, the equivalent is One Touch Optimize, which does exactly what it says. Even if you don’t remember searching for that weird thing that totally made sense at the time, your browser sure does. Clearing that search from your browser history might make your phone work just that much faster. For Safari, hit “Bookmarks” then “History” then “Clear.” For Android browser, tap “Menu”, “More”, scroll down to “Settings” then “Privacy Configuration.” While you’re at it, clear those cookies and the cache, too. Based on this not-so-scientific but still informative experiment by CNET, the browsers Safari or Chrome on the iPhone may be able to significantly speed up your Google searches. On Android, you might want to opt for Chrome or Dolphin. We’ve all almost lost our cell phones to perilous situations — they hover over subway tracks, are held mere inches above toilets, and are placed perilously on table tops covered with drinks. In that heart-stopping moment when you think you’ve finally killed your phone, you suddenly regret the impending loss of all the amazing photos and songs and videos that you stupidly never saved elsewhere. Fear no more! Just back it up before you put it at risk. With Android, there’s no automatic backup comparable to that on iPhones. A lot of your Google data (Gmail, Gcal, etc.) is saved to the Cloud via Google, but there’s still some other stuff you’d probably like to back up. Luckily, there are quite a few apps for this purpose like Helium, Ultimate Backup, and Easy App Toolbox. Less luckily, most of them are paid. But, it’s worth it if you keep super valuable stuff on your phone. While your phone may look spick and span, you may not be using it to its full potential. Jailbreaking (or “rooting” for Android) your phone can help you do that — it’s like being granted special access and administrative powers in your phone’s little world. Jailbreaking has some pretty great upsides, like being able to install apps that aren’t approved by the manufacturer. You can also customize your alert tones and better manage your files, in addition to freeing yourself from much of your wireless carrier’s unforgiving reign. But this comes at a serious price — it puts your phone’s security at risk and it voids your warranty. So, if you’ve weighed the costs and benefits and want to undertake the adventure, here’s how you jailbreak an iPhone, and here’s how you root an Android. If you do decide to jailbreak your iPhone, Cydia has a really great suite of apps for you to make your phone run exactly the way you want it. Feel the power. To keep your phone running smoothly, avoid anything that might put its newly cleaned up files at risk. Studies have found that people are much more likely to click on suspicious links on their phones, in part because the screen is smaller and it’s harder to tell which links are sketchy. Same thing goes for apps. Everyone and their mother has an app these days, but if it’s asking you for your personal information, make sure the app comes from a website you trust. Finally, being connected everywhere sometimes makes us forget where we are when we do sensitive transactions, like mobile banking. Avoid doing these sorts of things on shared Wi-Fi networks to prevent hackers from getting to the good stuff. If you have a tendency to lose your phone, you should install a smartphone tracking app, like Find My iPhone or Wheres My Droid. If your iPhone is lost out in the world, Apple has you covered: You can sign into the Cloud and turn on iPhone’s “lost mode,” which will lock the phone with a passcode and display a custom message (presumably, your instructions for how to return the phone) on the screen. There’s a similar function for Android, but it requires a pre-installed app. Install it now and save yourself the aggravation. “Sorry I missed your text, my phone died,” said every smartphone user ever. Well, ditch that refrain. Here are some tips to keep your battery lasting for ages. When we talk about battery life over time, we usually think that charging a phone completely and then using up all the battery is the best approach. This may have been the case with past batteries, but that’s not how lithium-ion batteries work. These batteries have a limit on the number of “discharge cycles” they can do, or how many times they can use their fully battery capacity. Usually, this capacity drops significantly by 250 cycles. But, to work around this problem, you can charge your phone when it’s only partially discharged, say around seventy-five percent charged. Basic behavior changes can do wonders for how long your phone lasts. Put on Airplane Mode when when you don’t have service (like in the subway or a friend’s basement), and skip the vibrate function in favor of a ringtone. Black wallpapers mean less light for your screen to emit, and turning down the brightness saves precious juice as well. There are also a few apps to help you manage your battery life. Android has a great one called One Power Guard. The iPhone equivalent is called Battery Doctor, which has the added feature of removing any junk files from your phone. If you’re a chronic battery killer, there are some mobile charging gadgets that can help, such as Powerstick and the Mophie Juicepack Power Station. Mophie also makes cases for iPhone (and iPad) with batteries built in, but that’ll set you back some serious coin.